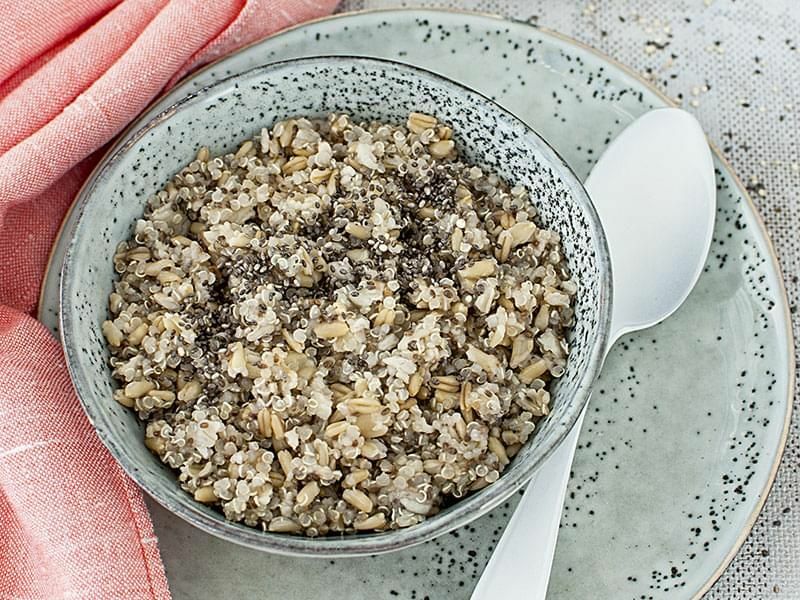 Flax, Chia or Hemp Seeds: Which Ones Should You Choose? Flax, chia and hemp seeds are popular for their beneficial effects on health. However, did you know that they don’t all have the same nutritional properties? Here is a description of the benefits of each to help you determine which one or ones you should choose according to your needs. The flax seeds is popular for its beneficial effects on health and intestinal transit. It is rich in soluble fiber and omega-3. Specifically, 1 tablespoon (15 ml) provides 3g of fiber, 2g of protein and 2300mg of omega-3. 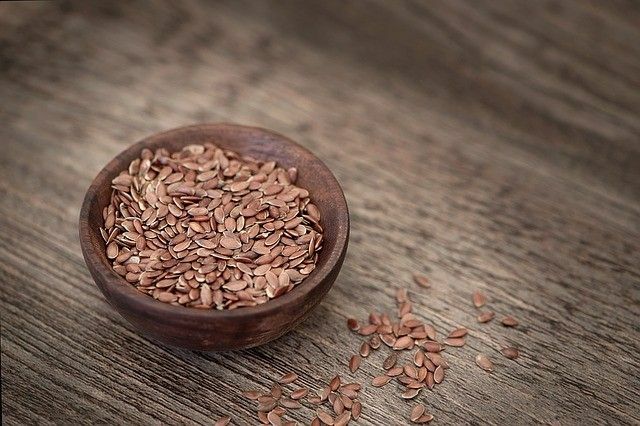 Flaxseed is also an important source of lignans, a kind of phytoestrogen that can protect against cancer, especially breast and prostate cancer. Flax seeds can be bought ground or whole. It is best to consume them ground to prevent them from passing through the digestive system without absorbing the nutrients that they contain. As they contain a lot of unsaturated oil, they can oxidize quickly in contact with air and light, and, therefore, become rancid once they are ground. For prolonged storage, it is best to buy flax seeds whole and grind them at the time of use with a coffee or spice grinder, or with a mortar and pestle. It is best to keep ground flax seeds in the refrigerator or freezer, for up to 3 months, in an airtight, sealed container to prevent them from becoming rancid. Whole flax seeds can be kept for about a year at room temperature. Flax seeds can be added to various foods such as yogurt, smoothies, fruit compotes, breakfast cereals and oatmeal. They are also great when added to muffin, granola bar or bread recipes. Up to ¼ of the flour called for in a recipe can be replaced by ground flax seeds. The chia seed is derived from the Salvia Hispanica plant and has been grown and marketed in Latin America for centuries. It is the seed which is richest in fiber, including soluble fiber. Like flaxseed, it provides a high amount of omega-3 for the body. Specifically, a 1 tablespoon (15 ml) provides 5g of fiber, 2.5g of protein and 2400mg of omega-3. Chia seeds are used like flax seeds. On the other hand, they create a gel when mixed with a liquid and provide a pudding type consistency. 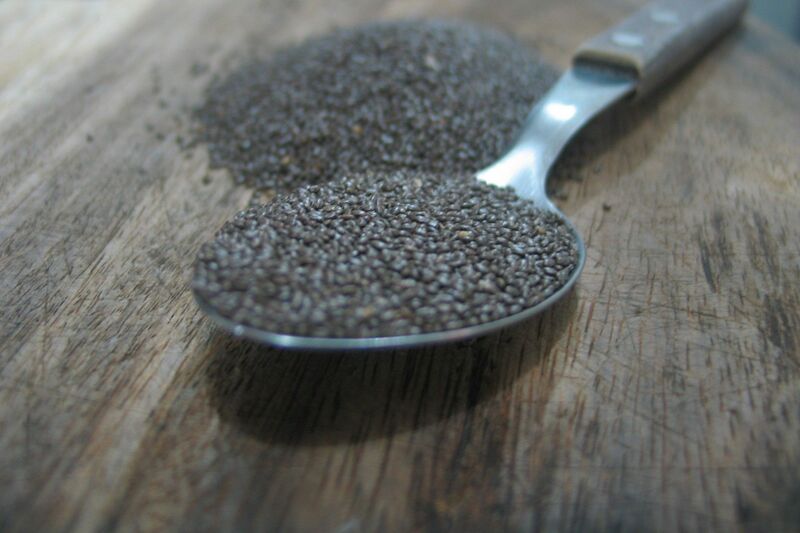 Unlike flax seeds, chia seeds should not be ground if you want to absorb their nutrients. It is also not necessary to keep chia seeds in the refrigerator. They can be stored at room temperature because they contain more antioxidants which help protect them from oxidation. They can be preserved for about two years if they are kept dry and protected from light and heat. The hemp seed is distinguished from the other two seeds by its higher protein content. However, it contains less fiber and omega-3. Specifically, 1 tablespoon (15 ml) provides 3.5g of protein, 0.3g of fiber and 1000mg of omega-3. It can be used in the same way as the other seeds. It does not need to be grinded and can be stored for about a year in a cool, dark place. 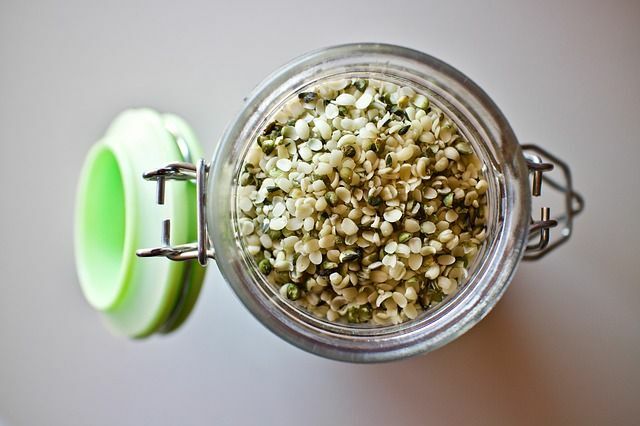 Storing hemp seeds in the refrigerator will prevent rancidity and prolong their life.